Cody Rhodes’ Nightmare Family Youtube Channel has published Episode 5 of AEW’s Road To Double Or Nothing series. As usual, this installment had a new newsworthy revelations. The episode began with Chris Jericho talking about the significance of him being part of AEW. Jericho says his involvement legitimizes the company and takes them to a different level. He acknowledges ‘with great power comes great responsibility.’ He is the biggest star in AEW, he elevates everyone else and he is the reason fans will give AEW a look. Jericho hyped his match against Kenny Omega at Double or Nothing. It still bothers him that Kenny won their first encounter at last year’s NJPW Wrestle Kingdom event. Omega is the best wrestler in the world, but he’s the greatest of all time. AEW Chief Brand Officer Brandi Rhodes announced a new partnership with Kulture City to make Double or Nothing pro wrestling’s first-ever Sensory Inclusive event. There are many wrestling fans with medical conditions that prevent them from experiencing live events in a comfortable way. Through the partnership with Kulture City, fans with autism, PTSD, strong anxiety symptoms and stroke survivors will be able to enjoy the show with assistance that caters to their individual needs. Visit KultureCity.com to learn more about this great organization. 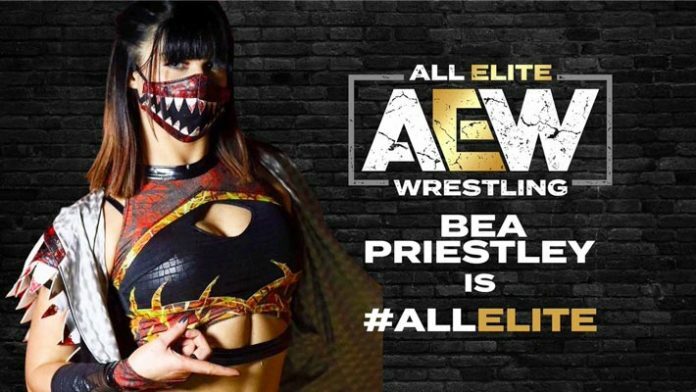 Brandi also announced a new signing to AEW’s Women’s division, Bea Priestley. Priestley is based out of the UK and has wrestled for various promotions including Stardom. She will make her AEW debut in July at Fight For The Fallen. That show from Jacksonville, FL will benefit the local community and those who have been affected by gun violence.